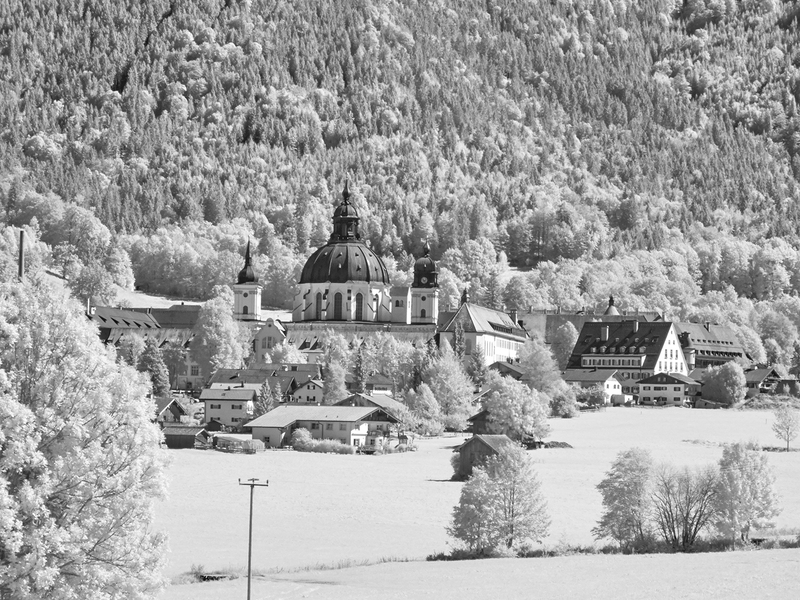 Ettal Abbey is a Benedictine monastery in the village of Ettal close to Oberammergau and Garmisch-Partenkirchen. With a community of more than 50 monks the Abbey is one of the largest Benedictine houses and is a major attraction for visitors. The monastery runs a brewery, a distillery, a bookstore, an art publishing house, a hotel, a cheese factory joint venture, and several smaller companies. The distillery produces Ettaler Kloster Liqueur, a herbal liqueur which comes in sweeter yellow and more herbal green varieties.